Are you keen on knowing what your customers think about your product or service? Do you want your customers to enjoy 24 hour service from your brand? Keep you customers satisfied with this special introductory offer. 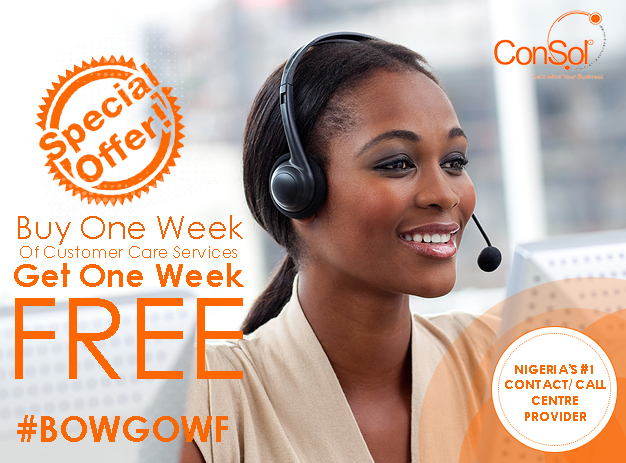 Subscribe to #BOWGOWF today and let’s help you retain your existing customers, improve customer experience and grow your revenue through our bespoke contact centre, telemarketing and telesales services.